"Just because it's not on the news all the time we can't forget. Things are NOT OK here....People still need A LOT of help!" When Hurricane Sandy first hit, it was all over the news. Even if you don't live in the area, I'm sure you've seen photos of the damage done to the East coast. But, just like any natural disaster, the news coverage has diminished while the clean up continues. There are still many people working hard to help the area recover, and I want to take a minute to highlight some of these people and their efforts. Even if you don't live nearby, there are ways to get involved! 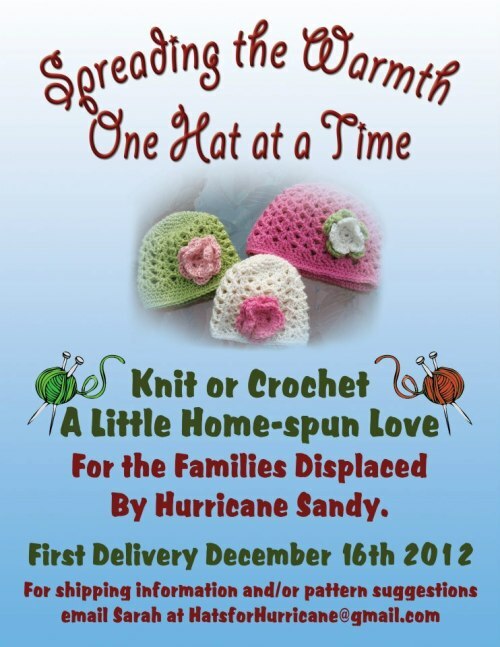 Sarah from Finnigan and the Hughs started a hat collection drive and has been involved in countless other efforts as well. She has motivated people from all over the world to get involved! Thanks to the generosity of everyone at KlutchClub, beautiful boxes of healthy snacks were sent to the people helping rebuild the Tuckerton/Little Egg Harbor area. They were very grateful for the donation and immediately opened the boxes to distribute them among the workers. Cindy from the Hurricane Sandy Support Page- South Jersey graciously distributed these snacks. She said "It brought a lot of smiles to everyone's faces around here!" Cindy has also been working hard on other local relief efforts and keeping this in the news at NJ.com. No matter where you live you can help! Hundreds of families were impacted on Staten Island, NY. Complicated Mama shows you how to Adopt-A-Staten Island Family. You can also make a Good day, Good Night Bag. Thank you to everyone who is working hard to help out. If you know of any other efforts, please share in the comments below.